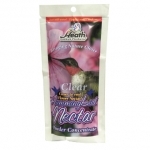 Hummingbird Nectar 16oz clear liquid. 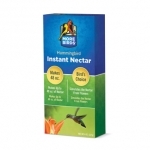 Hummingbird Nectar 16oz red liquid. 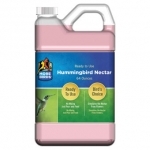 Hummingbird Nectar 32oz red ready to use. Makes 6 quarts of hummingbird nectar. Box contains 6 pre-measured packets of powdered nectar. 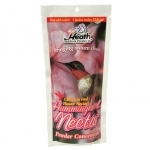 Each packet is mixed with water to produce 1 quart of hummingbird nectar. 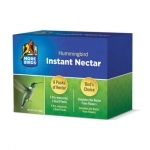 More Birds Hummingbird Nectar 8oz Box of powdered nectar mixes with water to produce 48 oz of hummingbird nectar. 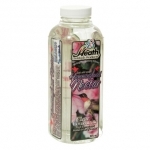 More Birds Hummingbird Nectar 64oz Ready-To-Use liquid - no mixing, just pour and feed.